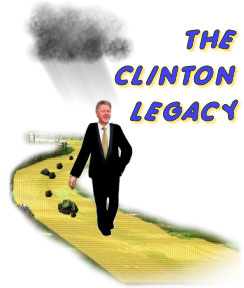 | All Boards | eXcite | Topic: Ahhh, The Clinton legacy 0 Members and 1 Guest are viewing this topic. He repealed Glasse/Stiegle and caused the crash, he imposed laws that lead to our current high incarceration rates of Blacks, He attacked Afghanistan with missile and America suffered for his revenge attack on 911. 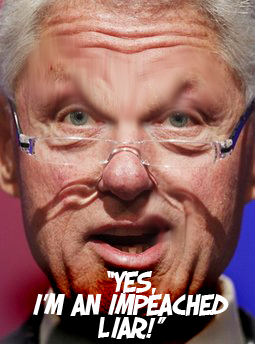 He committed war crimes in Bosnia and Kosovo. He invaded Iraq twice. He left Bush a recession and not much more after all that projected saving was wiped out by His own actions causing 911. And his wife wants to do it again. and are willing to repeat them! Proving once and for all that one must be stupid or a moron to be a Democrat!